Each first Monday of the month, Paper Nest Dolls hosts an Anything Goes Challenge! So much fun to see all YOUR lovely creations! Join us! 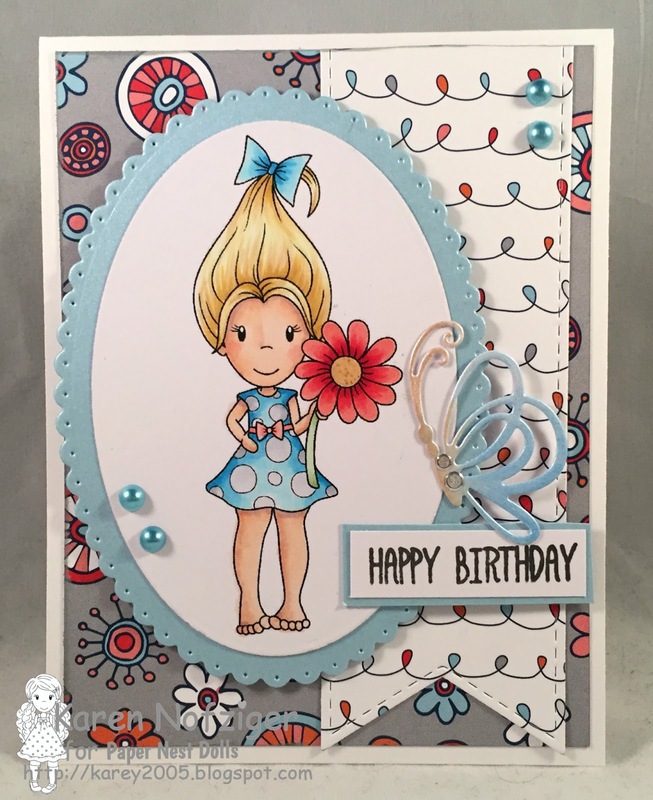 This month, for inspiration, I created a birthday card using Troll Ellie. I super love this stamp! 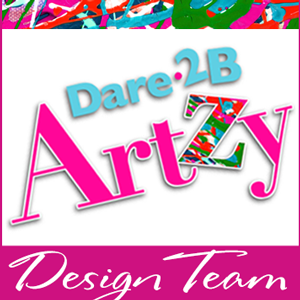 The paper is from Dare 2B Artzy. The stamp is framed with Fitted Oval Dies and Scallop Oval Dies from Elizabeth Craft Designs. And I added a butterfly from Elizabeth Craft Designs, Dancing Butterflies along with a sentiment from their General Sentiments Stamps. I embellished the background with a Stitched Fishtail Die and then added some pearls. Super CUTE card! the image is adorable!